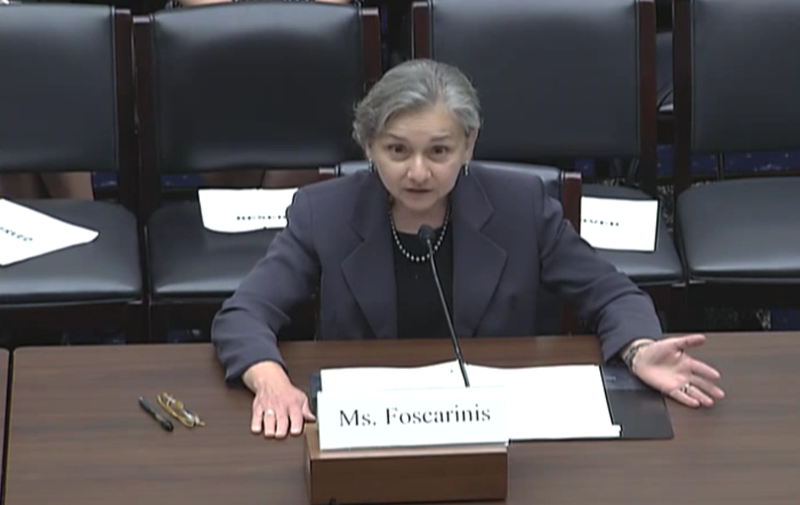 On Tuesday, June 16, 2015, Maria Foscarinis, Executive Director of the Law Center, testified before The U.S. House of Representatives’ Subcommittee on Economic Development, Public Buildings, and Emergency Management. The hearing, titled “Saving Taxpayer Dollars in Federal Real Estate: Reducing the Federal Government’s Space Footprint,” discussed reforming how the federal government disposes of its unused and underutilized real property. Title V of the McKinney-Vento Homeless Assistance Act requires that homeless service providers have first right of refusal to obtain unused federal real property holdings at no cost. In other words, the program grants eligible groups, such as local governments and non-profit homeless service providers, the right to apply for federal real property that has been deemed surplus or excess to the needs of the federal government-property that may otherwise be unaffordable to them-in order to provide housing or services to those experiencing homelessness. Ms. Foscarinis testified that Title V of the McKinney-Vento Homeless Assistance Act is a proven vehicle for assisting America’s homeless with no cost to taxpayers- all while reducing the federal real estate footprint. Under Title V, more than two million Americans have benefited from the disposal of approximately 500 federal buildings and 900 acres of land, now developed to provide housing, shelter, and other services, including job training and child care. Taking an affirmative stance in order to better implement Title V, Ms. Foscarinis cited three areas for improvement: holding federal agencies accountable to offer federal real property holdings that have been vacant for a year; streamlining the application process for homeless service providers, so that they can be considered more fairly; and eliminating bureaucratic redundancy by investing sole authority in consideration to the United States Department of Housing and Urban Development. Ms. Foscarinis’ testimony was prepared with the help of attorneys Aaron Cooper and Perrin Cooke of Covington & Burling LLP. Covington has been a vital asset in providing the Law Center with legislative advice and guidance. Among other witnesses were agency representatives of the General Services Administration, Office of Management and Budget, and the U.S. Government Accountability Office. Homelessness remains a national crisis, and with this opportunity to testify Ms. Foscarinis maintained the position that the Law Center and Congress share the goal of streamlining the disposal of unused and unneeded federal properties. Read the testimony and watch the entire hearing here. Learn more about Title V in The Law Center’s report on the McKinney-Vento Homeless Assistance Act This Land is Your Land.